The end is approaching with a rapidity that seems to persistently increase. Yet to pause in a moment, has Time fade to the background or drop away completely and what is left is blissful. Laughter issuing from open windows as the sun summons trees to greenness as the seasons change almost overnight. Joyful shouts and splashes dancing their way from the water’s edge and up to the White House as those who make them jump and swim, and those who listen lean back in the sun and speak about a freedom deeper than the Fjord. Needs are more known and voices more eloquent to speak them out. Truth is more present and authenticity more insistent. It could go on forever, these days, these gatherings and circles of souls. And we could remain forever, submersed in its continued unfolding…but we won’t. So, we’re here now, embracing the final weeks and soaking in the wisdoms they’ll undoubtedly present, knowing that all things ebb and flow, knowing that we must carry ourselves, renewed, into other sunsets and gift pieces of this agonizing bliss to the world we’re creating, because that is what’s creating it. Despite some time’s swift wings, these days are long and getting longer. The never-ending sunrise approaches and this beautiful Time, the Time that is not the clock or calendar, is on our side. The Initiative Weeks were an important time on multiple levels. It finally opened a space for specific underlying interests to be given attention and time to work on Personal Projects. It also created a space for reflection on the year, the changes that have occurred, what can be done with the changes and how to move forward into the next phase: life after YIP. In addition, and within all of this, a group of participants made a journey down to Callais, France, and volunteered in a refugee camp known as The Jungle. There they served hot meals and distributed donated clothing and other necessities. It was confrontational to say the least, with beauty and courage mixed in throughout, and each participant that took part came back with their own stories and interpretations. After the long-ago and far-out journeys that were the Internships (which seem like years ago now) and all the hard work that was put in to organize them; after the 300-person gathering that was the Initiative Forum (which seems closer, but still, in a way like ancient history) and all the planning, organizing and hosting that went into that event, these past weeks have been a space to truly connect as YIP8, to explore the topics that are burning within each individual and really give them time. It has been an important element of the overall journey. 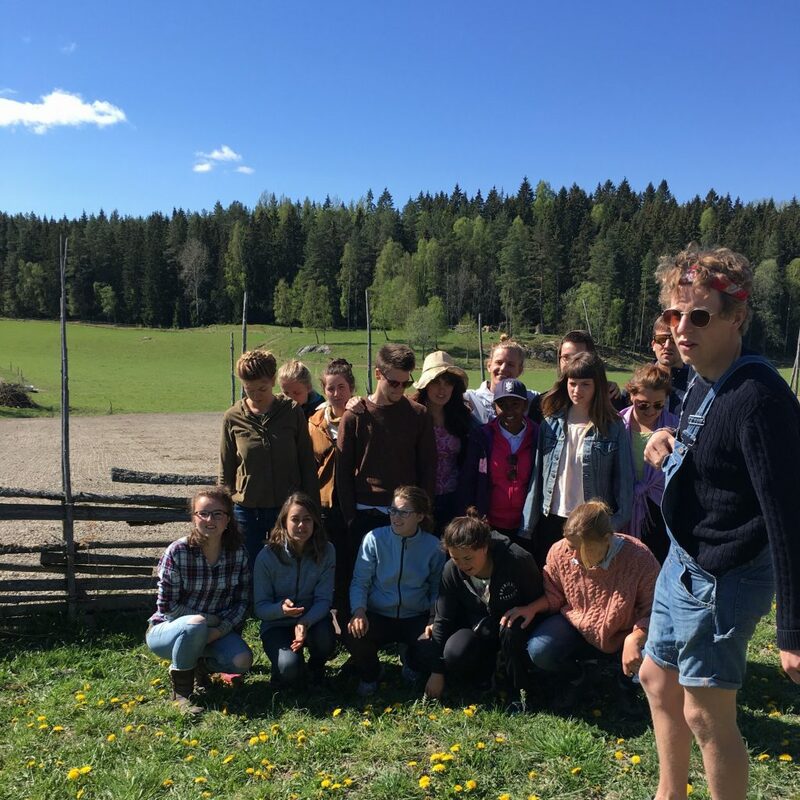 Then, after a well-deserved and brilliantly summery Spring Break, Oskar Rosengren guided us in his course Spring Foraging, through the forests and fields of Järna and its surroundings. 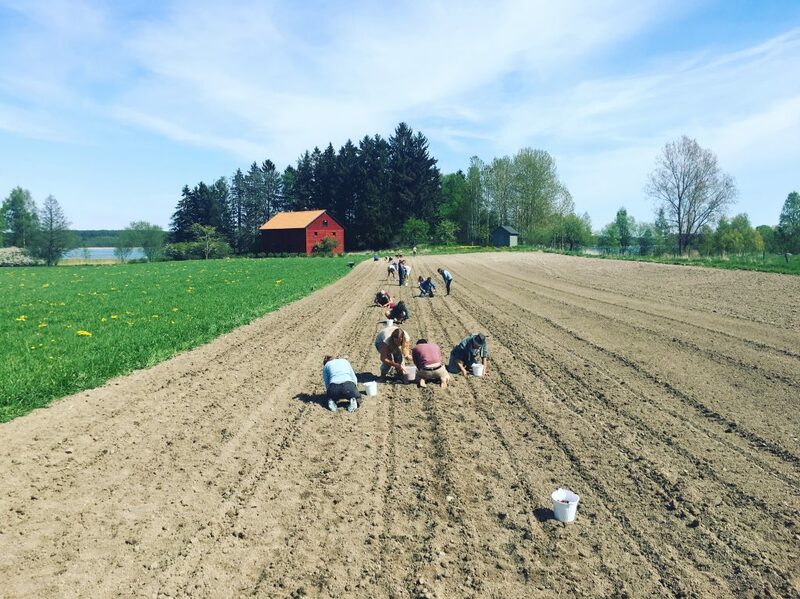 We learned about the wild local edibles that can be picked straight off the forest floor and how to preserve and ferment others that for hundreds of years sustained the Swedes through the long, dark and cold winter. At the end of the week, after learning to identify much of what can be eaten, the Yippies were broken into groups and given the challenge of creating a menu and cooking over an open fire. Last week we were graced with the presence of Roi Gal-Or who co-hosted his course in The Craft of Storytelling with YIP7 participant, Louise Larock. It was a challenge to bring in and balance the imaginative, child-like creativity with the depth, truth and courage it takes to tell a story to the world. At the end of the week, nearly every Yippie took to the stage and with that courage (and quite a bit of humor) spoke their stories to the community. 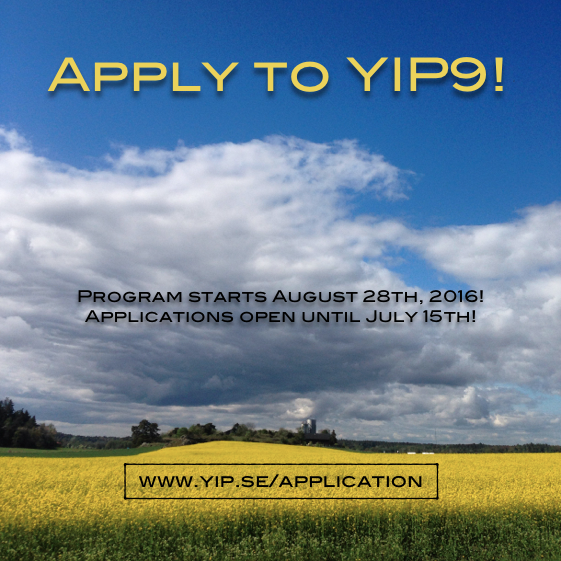 YIP9 will begin on the 28th of August and Applications are open until July 15th! The YIP9 crew already assembled is looking forward to discover who else will join! Are you someone who wants to tackle the big questions and do so in a diverse and dynamic community? Get in touch! Or can you think of someone who you feel ought to know about the opportunities that exist here in Sweden? Help us out by spreading our video! Participation is for those 18 to 28 years old and is based on motivation, interest and a willingness to dive in, not on diplomas or academic achievements. Have a look through the Application to get an idea. Although the Applications are open until July 15th, we encourage anyone interested to please apply as soon as possible. This gives us the chance to better prepare for the group to come and also gives the Organizing Team some valuable summer rest! By Mathijs Poppe (YIP3), if you feel called to support please do so before here, before May 29! It was in 2011, during my time at YIP, that I first visited Shatila, a Palestinian refugee camp on the outskirts of Beirut. With the motivation and belief that documentaries can show the world as it really is, expose oppression and rebel against ruling powers, I took my camera with me. 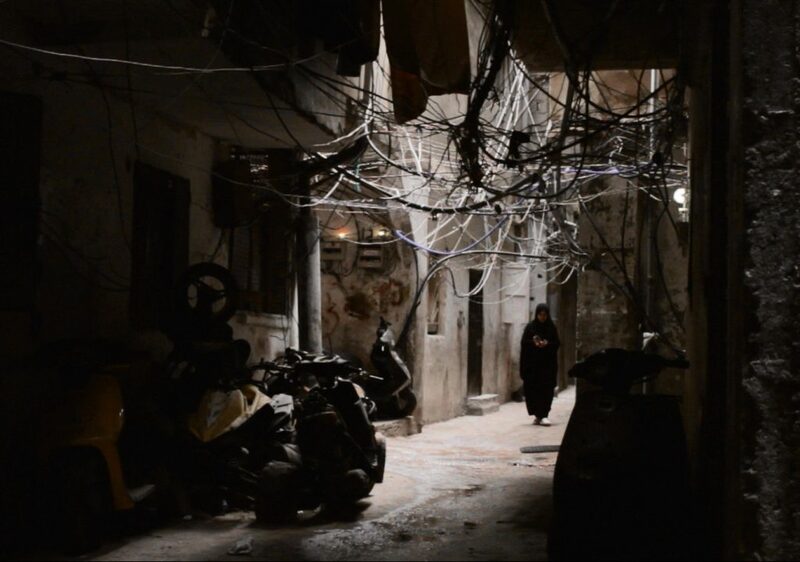 A big part of my internship was going to be about making a film that captures life in Shatila. But soon I understood that a camera is not a neutral interpreter and that my role as a privileged European filmmaker was questionable. Slowly I felt I was slipping into a similar approach to that of other photographers, documentary makers and journalists who had come to Shatila. With every image and every question, I pushed the people, who were so hospitable, further into the role of the victim. The images I tried to make of Shatila only had meaning in a culture where Palestinians are shown as victims. Although it is not my intention to deny the political and humanitarian crisis that the people of Shatila are living, it was not how I wanted to look at them or show them. I discovered that it was my role as a filmmaker to question the images that I make of a place and how these images have an impact both on the one that is portrayed and the spectator. It is a reoccurring question of the present day, in which it is so easy to make images and show them digitally, how do we show the world around us? How do I make sure that I don’t fall back into the images that get thrown at me in the western civilization that I live in, images of advertisement, heroes and crises, the supposed “end of the world” that seems to inspire media. When I returned to Shatila in October 2015, I wanted to search for a new role for myself as a director behind the camera, but also for the people I had become friends with in front of the camera. Instead of being an outsider with a camera, I wanted to share the production process with the people I had met in Shatila. I wanted them to be part of the scriptwriting, of the crew and of the cast. And even though I would always be a foreigner, I believed that by sharing the production process together, we could tackle this project more as equals and find out what kind of film we could make together. This time, the director would not be the sole source of knowledge (the one that knows more), but rather the one who supports the actors in their search of the story they want to tell themselves and the words they want to use. Now, more then half a year later, most of the film is shot and we can start the editing process. The story we will tell takes place at an unknown moment in the future, when the dream of the Palestinian refugees to go back to Palestine becomes reality. The film balances on the thin line between fiction and documentary, between dream and reality. We get to see how families are preparing for the fictional return, but through the scripted events, it slowly becomes clear that their dream is far removed from their daily life in the camp. The actors play themselves, but in an altered reality, a reality that contains their personal and communal dreams. To be able to finish the film professionally, I am still looking for support through a crowdfunding campaign. And every contribution to that is an enormous help to us. If you are interested, you can read more, see more and support until May 29th. Nature and More and Eosta decided to make a generous financial contribution to the Initiative Forum this year based on the theme the YIP participants had chosen and how important they feel it is to be having conversations around food and agriculture and all of its visible and invisible implications. Here is a bit of information about the incredible work they are doing in the world. Get involved! awareness for pending topics concerning current means of food production, like Save Our Soils, pointing out that healthy soils are important for our own health, food security and climate. Two hundred NGO’s have given their support. Their latest campaign is called True Cost of Food. The True Cost of Food campaign was started as a joint effort together with the United Nations’ Food and Agriculture Organization (FAO), who recently published a groundbreaking full cost accounting study. It promotes the idea that food prices should reflect the true cost of food, including hidden environmental and social costs. The initiative shows consumers the true cost of organic vs. conventional products. 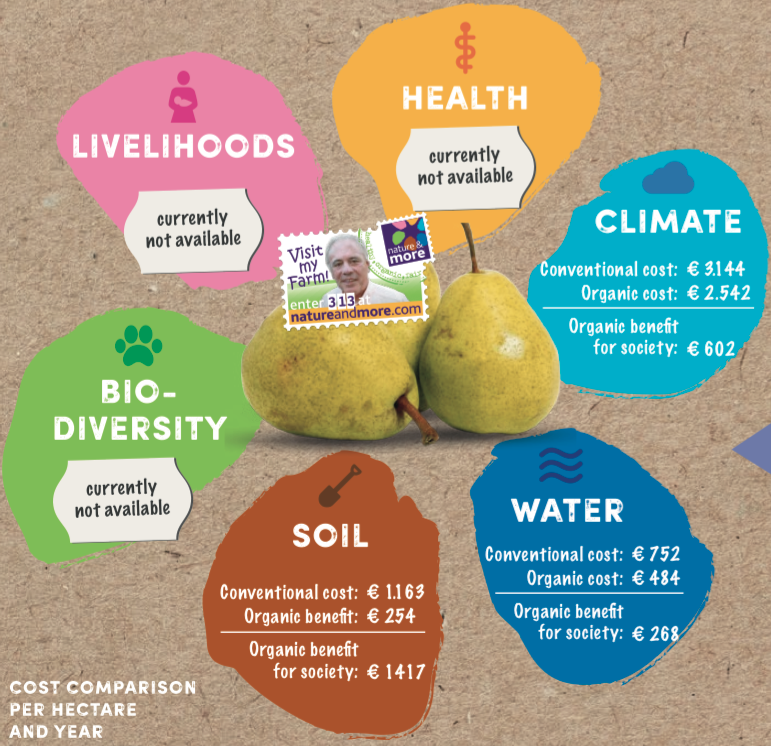 To make this tangible, Nature and More, the consumer trademark of Eosta, has created a concept to display the counted cost in grocery shops, called the True Cost Flower of Nature and More. With the products in the shop comes a special tag that shows the differences in costs in different fields, such as water pollution, soil degradation and the environment, as well the impact on health and livelihoods. While scientists are still working on new models to calculate the externalized costs of our food production, the first True Cost Flowers have now been launched in German shops. 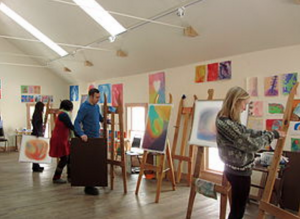 As Free Columbia (Hillsdale, N.Y.) makes space for a new year of participants within their full-time painting training, I’m hoping to share a small picture of my own experiences there to offer more of a connection to those who might be interested. 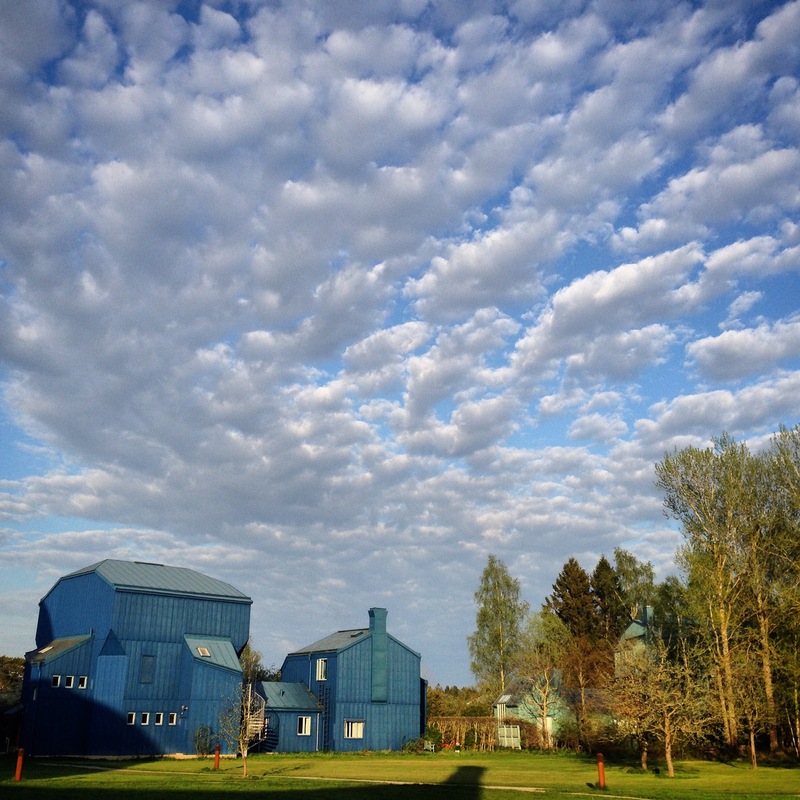 I am a YIP3 alumni and participant of Free Columbia from 2013-2014 and I very much recommend this course to anyone wishing to explore art, painting, the genius of nature and themselves (though certainly not limited to just these). When I arrived at Free Columbia with the wish to pursue creativity, I wondered, “What will happen to me here with such a vague wish? Will I come to know more clearly what I am actually asking for?” I will say yes with real honesty. When I began drawing or painting at Free Columbia, I was still very unsure as to what Art really meant to me. While painting I felt the concern toward failure and creating a “beautiful” painting. What I didn’t realize was, all of the trials, experiments, ups and downs, layers upon layers which make a painting, is like a life, actually. Perhaps we can all relate that to our own lives. Sometimes we may not want to slowly build all of the layers that eventually create an interesting movement of woven colors, of form in relationship to form, of commitment. I experienced moments where, within the painting I just wanted to hastily add a big splash of color or some random line, but then I would see Laura Summer in her examples that she shared with us, and there she would calmly add color or form, and let it move, and then respond to it as it needed. I saw that within painting there is a true listening happening. Free Columbia has shown me that if we are to listen to color, line, ourselves, the World, there is another choice that we can make rather than responding in only an instinctual way. If we can really develop our capacities to listen, we can respond differently, with wisdom. 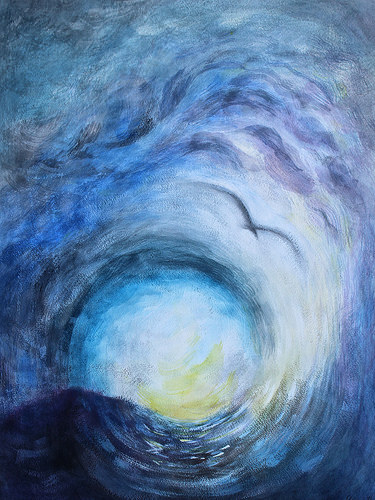 I see now that painting really offers the opportunity to exercise this within us, if we listen. Free Columbia is now open for applications for next year! Please share this with anyone you know who might be interested. For more information contact Laura Summer or click here. 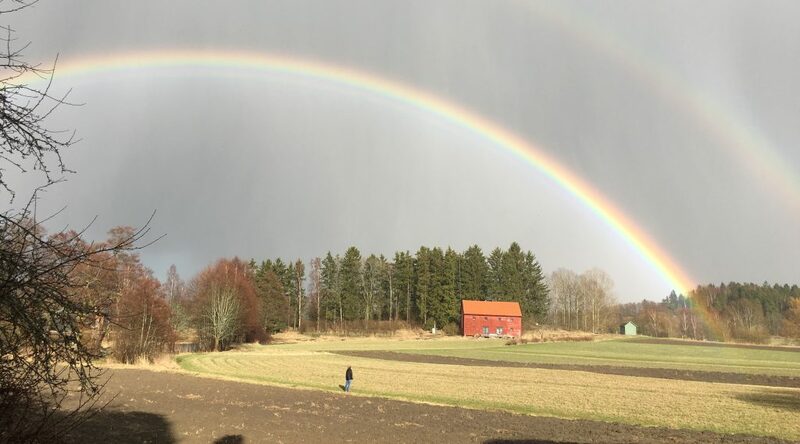 There are not many weeks to go in YIP8, therefore we don’t have to look to far ahead this time… Starting Monday the 23rd of May, we will have first time YIP contributor Anna Cavallin join us from Stockholm University to lead a course in Gender Studies. The topic has been hot on the YIP plate in the last weeks and the Yippies seem ripe to dive in. She will guide us through the complex history of gender, how it can be a tool of segregation or unification, and how the labels from society, which we carry from birth to adulthood, affect us, knowingly or unknowingly. After Anna, we will be joined by two more first time Contributors, but folks who are already well known in the Community, Francisco “Frank” Escamilla and Jaynese Poole, who will be bringing the work of Street Poets. We will explore how the Word, poetry and story can be medicine for our lives, turning wounds into gifts. 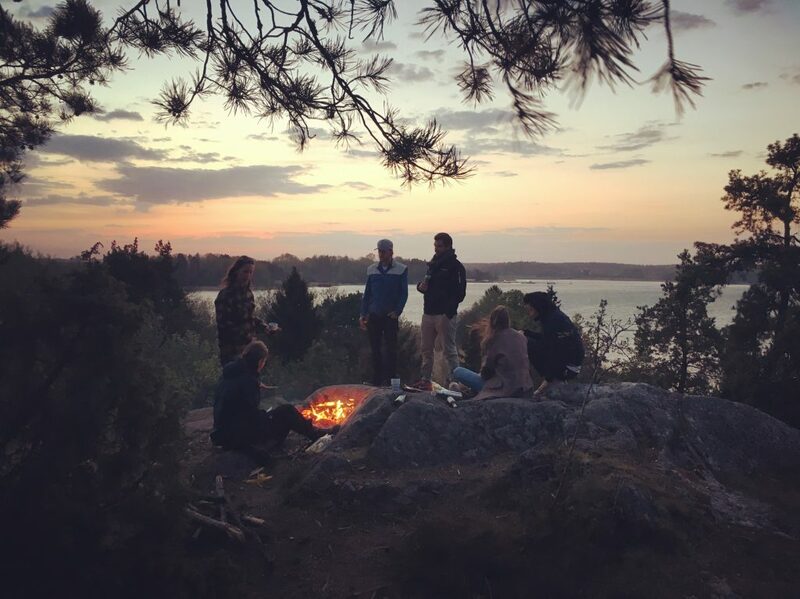 At the end of the week, Friday, June 3rd, from 16:00-19:00, Frank, Jaynese and the Yippies will host a public offering and performance space at the Nova Cultural Center in Södertälje. Come kick it! 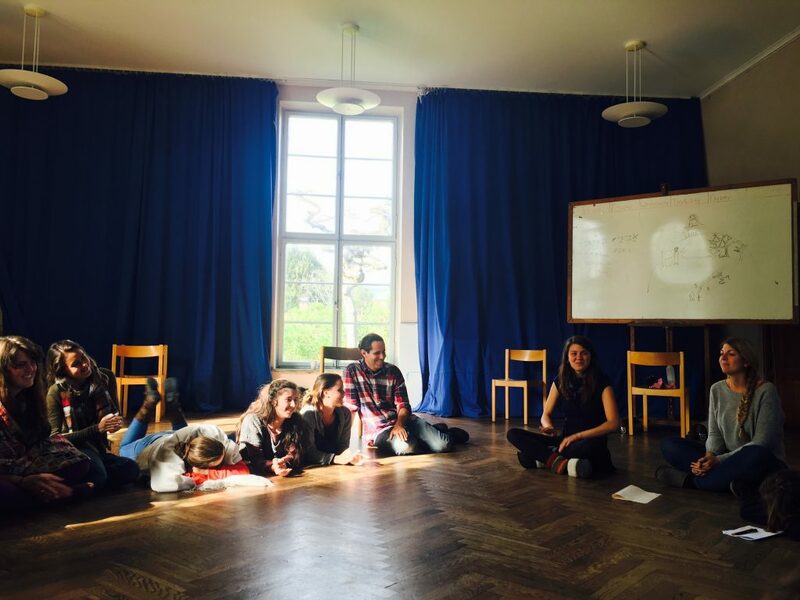 The work with the Street Poets will be our final course-week of YIP8…! Dang, how time has flown. But it ain’t over yet! The following week the Järna community will have the honor of witnessing Personal Initiative Presentations from the participants. This will take place from June 6th to 9th in the White House and will be open to the public. For specific infomation get in touch!